Number of the week: How much will Fabio Capello get if Russia fires him? Russia’s national soccer coach Fabio Capello is in danger of being fired following a string of 10 matches in which the team has won only twice – against lowly Liechtenstein and Montenegro (the latter was declared a win for Russia after the match was abandoned). The recent 0:1 home defeat to Austria was labeled “a horror” by Kremlin official Sergei Ivanov. 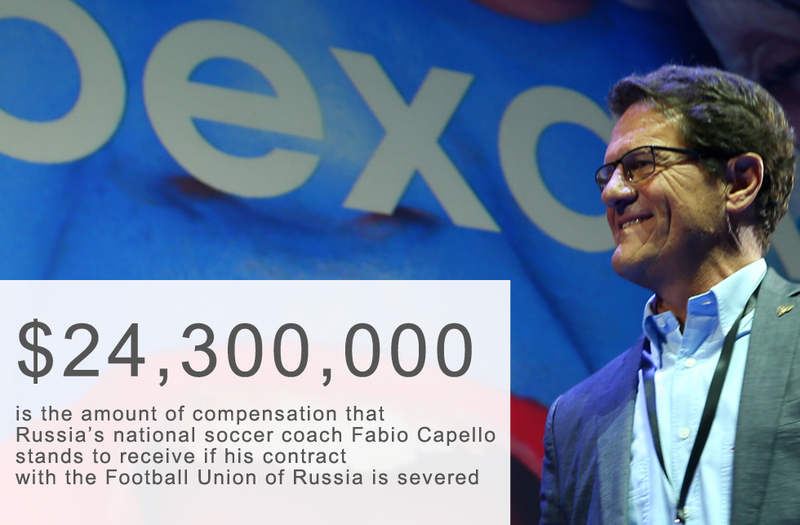 $24,300,000 is the amount of compensation that Capello stands to receive if his contract with the Football Union of Russia is severed.